Tania Darman is having the best year of her life. She has a hot new boyfriend, she’s landed the starring role in a student film and she has just been voted homecoming queen. But someone is jealous of Tania; someone plans to ruin her perfect year – even if they have to kill her. Will Tania live to see the homecoming dance? This was one of the best Fear Street books in awhile; in fact the book was much more involved and interesting than the back cover made it seem. Tania is on top of the world, so much so that she doesn’t even care about being homecoming queen. Her mother remarried a guy she likes, she got a new stepbrother out of the deal who she’s really tight with, she’s dating the star football player at school, and the list goes on and on. Everyone seems to love Tania, or at least almost everyone. Tania’s former best friend, Leslie, is insanely jealous of Tania. Tania gets everything and she gets nothing. Leslie ended their friendship because she was so jealous, but Tania is still really nice to Leslie, it’s just kind of sad. Tania’s best friend, Eva, is a pseudo psychic – basically she just gets bad feelings when something bad is about to happen – and she’s actually the main character in this book. I liked the character, though I was a little weirded out by her name. Her last name, which is in the second sentence of the book, is my last name – and it’s even spelled the same way. And my last name isn’t all that common and there about eight different ways to spell it when it does show up, so that was kind of weird. Tania is “killed” a little less than halfway through this book. I use killed because that’s where the fun begins. Tania’s body disappears, and one person comes forward admitting it was a prank, but her body wasn’t supposed to vanish… And other evidence suggests Tania really is dead. Then the threatening phone calls start, and it seems like someone is targeting the people closest to Tania. When another person ends up dead, this time in the definite sense as the body doesn’t disappear, Tania’s friends are scared. Someone is hunting them, determined to kill them one by one. And they’ve made it perfectly clear that they’re not going to stop, until the people who witnessed Tania’s death – join her. I loved this book, and it kept me guessing. 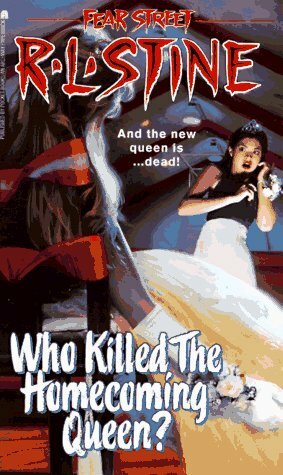 I didn’t figure out part of the mystery until two thirds in, but at that point I was certain I had also figured out who the killer was… I wasn’t even close! It’s been a long time since a Fear Street book tricked me – or one that I couldn’t figure out until the big reveal at the end, so I was impressed. Some aspects of the story were recycled from previous books (hey, by this point R.L. 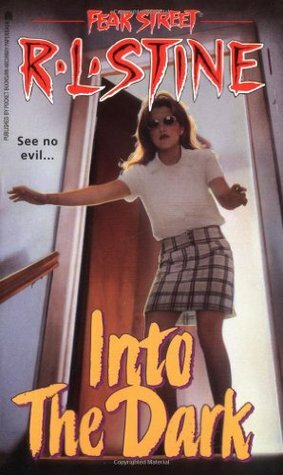 Stine had written 73 Fear Street books, it would be near impossible to not repeat anything ever), but those aspects took the backseat to the main story, and the identity of the killer in this book. Paulette Fox is blind, but she refuses to let her blindness stop her from living a full life. But one thing Paulette has never done is fall in love – until now. Brad Jones is the only guy for her! Even when her friends see Brad commit a horrible crime, Paulette is sure that Brad is innocent. Her friends tell her that Brad is out of control and that she will be his next victim. But Paulette knows that Brad would never hurt her. Is Paulette right about Brad or has her love put her in terrible danger? This is the last original-original Fear Street book. Lately, I’ve understood why R.L. Stine walked away – the books began to get repetitive, sloppy and they just do not work. But this book (like the first one in this post) makes it seem like Stine was suddenly inspired all over again. This book is probably the most well-written book in the series. I mean the writing is good, so good I wouldn’t feel embarrassed telling others to read it – there is no guilt or shame from enjoying it. Paulette Fox is blind, but she doesn’t let that stop her from doing anything. I’m really impressed with Stine because he either really did his research or is friends with someone who has a blind child. The systems Paulette had in place at home like how she picked out her clothes (a brail color-coded system in her closet) to how she was independent in the outside world like counting steps are what I imagine blind people actually utilize. And the ways her other senses worked – sharpened without being superhuman, was completely on point. Stine knew his stuff and he allowed the reader to experience the world from a completely different perspective – one without sight, and yet that perspective “sees” so much. Someone is out to get Paulette. Someone breaks into her house, leaves her threatening messages and pushes her into oncoming traffic… someone seriously has it in for her. But she brushes each occurrence off as nothing. This was the only thing that was difficult to understand… it was as if her drive for independence turned into a kind of stubborn stupidity. Brad, the first guy to ever steal her heart, only complicates things. Half the time, Paulette feels closer to him than anyone else, and the other half she is creeped out by his intensity. And then someone sees Brad commit an armed robbery and shoot someone. But Paulette was there, and is certain it wasn’t Brad. Too bad the dozen eyewitnesses, who aren’t blind and also know Brad, disagree. After that, everything happens fast: the truth about Brad, the truth about Paulette’s stalker and just who is going to make it to the end of the book. I can’t believe it’s over! I’m not ready for it to be over! I’m really impressed by these last two books, and I hope the New Fear Street, and the awkward transitional phase right before, live up to them. It was really difficult to choose a first place, but in the end, I decided it was the book I couldn’t figure out that had to take the prize. This entry was posted in Book Reviews, Books, fiction, Guilty Pleasures, Reviews and tagged "book review", "mistaken identity", "r.l. stine", "reading list", blind, blindness, book, fear street, guilty pleasure, murder, mystery, reading, suspense. Bookmark the permalink.